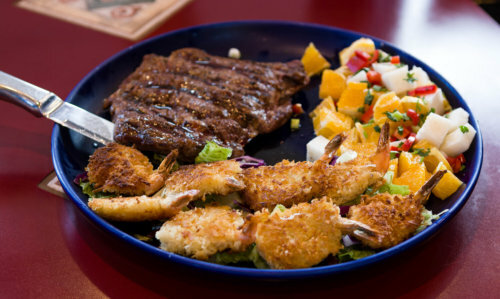 Beef Carnitas $18.95 Choice Of Sirloin Strips or Boneless Chicken, With Fried Green Peppers And Onions. Served With Guacamole, Rice, Beans &Tortillas. Steak Fajitas $18.95 A Traditional Mexican Dish. Steak Sautéed With Green Peppers & Onions. 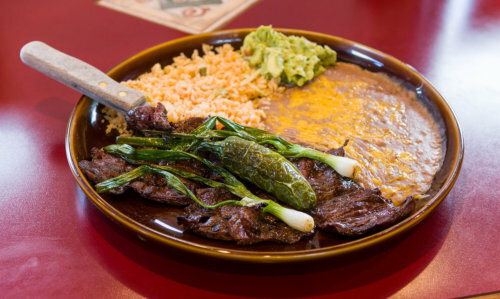 Served With Rice, Beans, Sour Cream, Guacamole, Pico de Gallo & Tortillas Carne Asada $18.95 Slices Of Marinated Skirt Steak, Grilled Over Charcoal. Served With Guacamole, Rice, Beans And Tortillas. 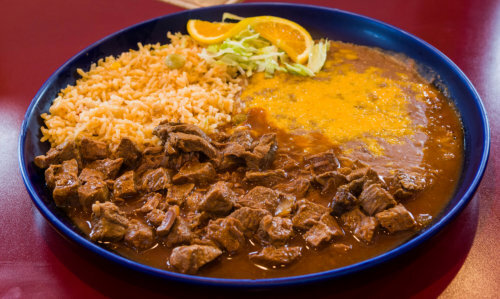 Chile Colorado $18.95 Tender Cubed Beef Simmered In A Spicy Red Sauce. Served With Rice, Beans & Tortillas. Steak Ranchero $18.95 Sliced Pieces Of Sirloin Steak Fried With Onion, Green Peppers, Tomatoes, Jalapeño Peppers And Spanish Sauce. Served With Guacamole, Rice, Beans & Tortillas. Bistec A La Criolla $18.95 A Traditional Colombian Dish. Skirt Steak Marinated With Spices, Tomato And Onion. Served With Arepa, Sweet Plantain, Fried Egg, Rice & Pinto Beans. Carne Con Chile $18.95 Top Sirloin Simmered With Bell Peppers, Onions, Tomatoes & Cayenne Pepper With Our House Special Sauce. Served With Rice Beans And Tortillas.